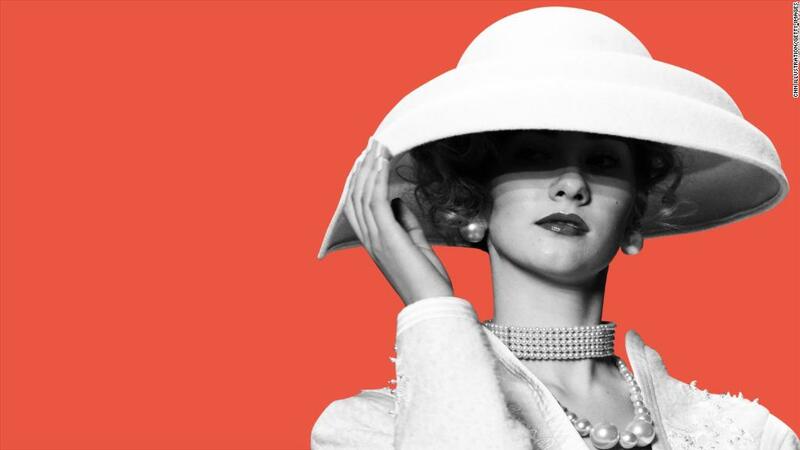 Russia's society: Why so many oligarchs? US sanctions aimed at punishing Russian oligarchs close to President Vladimir Putin could make your soda habit or luxury car more expensive. The price of aluminum has surged 10% since the United States slapped tough new sanctions on Rusal, a leading metal producer controlled by Russian oligarch Oleg Deripaska. If sustained, that price hike could push up the cost of making a range of industrial and consumer products, including cars, airplanes, soda cans and pharmaceutical packaging. 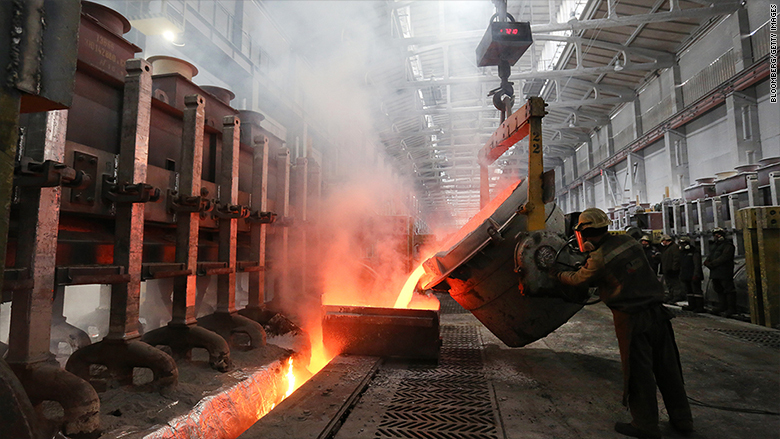 Under the sanctions announced Friday, Americans are generally prohibited from doing business with Rusal, and people of other nationalities could face sanctions themselves if they facilitate transactions for the firm. 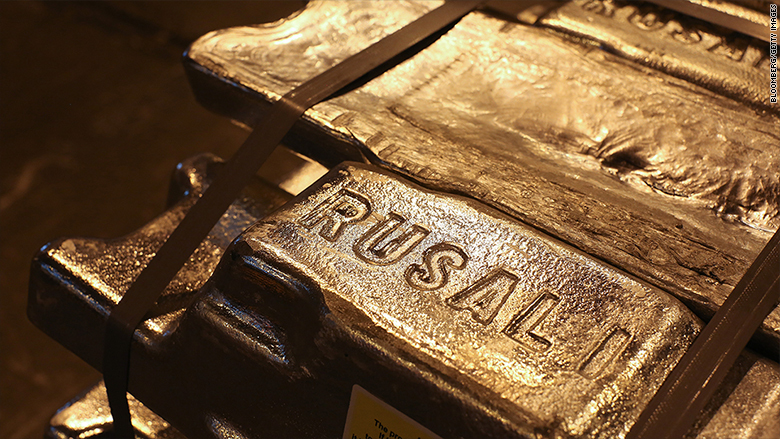 Rusal produces 7% of the world's aluminum, according to the US Treasury. But buyers, business partners and commodity exchanges are now scrambling to sever ties with the company. Its shares have plummeted 56% since the sanctions were announced. "Businesses just don't want to deal with even a remote risk of getting on the wrong side of US authorities," said Gregor Irwin, chief economist at the political advisory firm Global Counsel. It won't be easy for aluminum buyers to replace the lost supply, and prices are rising as a result. Russia's Rusal is one of the biggest aluminum producers in the world. Rusal had sales of nearly $10 billion in 2017, with about 15% coming from the United States -- its second largest market after Russia. Aluminum prices can be volatile, and short term price hikes won't do much to affect the price of consumer staples. But if aluminum remains expensive, companies will eventually look to raise prices on products that use the metal. "If the sanctions are sustained ... I think it's inevitable that we will see an increase in the cost of assembling cars and therefore, car prices," said David Bailey, a professor of industrial strategy at Aston University in the United Kingdom. Bailey said luxury automakers like Jaguar Land Rover and BMW (BMWYY) would be hit hardest because their designs use more aluminum in order to make the cars lighter and more fuel efficient. A new 10% tariff imposed by the US on some aluminum imports won't help matters. "There's potentially a double hit for American consumers," said Irwin. Shares in Russia's Rusal have plunged since US sanctions were announced on Friday. On Wednesday, US Treasury Secretary Steven Mnuchin said that the sanctions have been "quite impactful." "You've seen the impact on the market," Mnuchin told lawmakers in Washington. "These are very, very powerful tools. We need to do them carefully and thoughtfully." Deripaska is one of seven oligarchs to be hit by the new sanctions. Other companies that the US government said are owned or controlled by Deripaska, including EN+ Group and GAZ Group, were also sanctioned. The Russian is best known in the United States as a former business associate of former Trump presidential campaign chairman Paul Manafort. The US Treasury said Deripaska has been "investigated for money laundering, and has been accused of threatening the lives of business rivals, illegally wiretapping a government official, and taking part in extortion and racketeering." On Friday, Deripaska described the US sanctions as "groundless, ridiculous and absurd." -- CNN's Donna Borak and Ivana Kottasova contributed to this report.